Building Expertise isn’t just a conference. It’s a place to plan the future and have a good time! 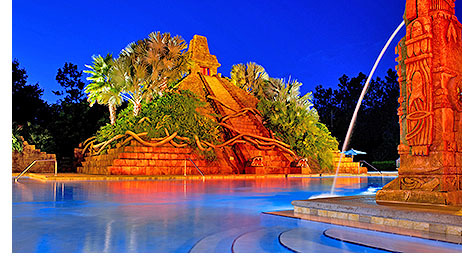 Once again, LSI welcomes you to the luxurious Disney's Coronado Springs Resort in Lake Buena Vista, FL. This Central Florida paradise offers unique dining experiences, spa services, a pool complex, campfires, volleyball, and playgrounds all at a discounted resort rate in case you’d like to extend your stay and visit any of the nearby Disney parks using the resort’s free shuttle service. Online hotel registration will apply the discounted room rate. If you choose to call 407-939-1000 to make reservations, be sure to mention that you are a Building Expertise conference attendee when booking your room to obtain the conference attendee rate. For group hotel reservations, please call 407-939-4686. Disney’s Magical Express is a complimentary motor coach transportation available to and from Orlando International Airport (MCO). This requires a separate reservation. Visit the transportation section of our location page for more information. Discounted area attraction tickets for conference attendees and family members.